Recently, our Executive Director, Margarita Baquero, gave a class including theory and laboratory techniques to undergraduate students at UTI (Universidad Tecnológica Indoamérica) about field techniques and monitoring of Lepidoptera, the order of insects that includes butterflies and moths. Insects and other invertebrates living in rivers, lakes, or oceans can be an indicator of water quality and pollution level. We can use macroinvertebrate surveys as an easy and cost-effective method for determining water quality and eliminate the need for frequent, costly chemical tests. 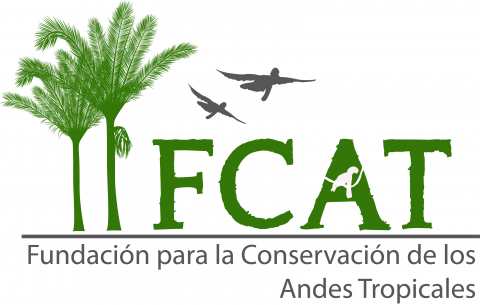 From February 18th to the 21st, three scientists from the Pontificia Universidad Católica del Ecuador (PUCE), Verónica Crespo, Patricio Andino and Rodrigo Espinosa, gave FCAT a workshop of how to use macroinvertebrates to asses water quality. We used the Laguna de Cube, an internationally recognized RAMSAR site, for the workshop. The workshop consisted of one morning covering theory and concepts and two sessions of collecting, identifying macroinvertebrates, and analyzing the data. We have in mind many projects that can use and apply this knowledge to better serve the communities where we work. It was a great workshop where we all learned a lot and had fun! In 2015 Mónica was awarded the well-known NGS Buffett Award for Leadership and Conservation for the community-based conservation and education programs she ran in REMACH during her time as Executive Director of FCAT. Known as the ‘Green Oscar’s’ the Whitley Fund for Nature Award is among the most prestigious for conservationists. In 2014, Mónica’s hard work was rewarded when she received this prize. She was able to travel to London, where she received the award and made a short speech. Great work, Mónica!